They say life begins at the end of your comfort zone, so why not try new things? Located on the 280 corridor just minutes from Downtown Birmingham, The Summit is the perfect place to make the most of new experiences. An outdoor shopping center jam-packed with stylish shops and delectable restaurants, it’s no wonder that The Summit enchants Birmingham natives. There’s nothing better than sinking your teeth into a decadent slice of cake. Nothing Bundt Cakes is a brand new place to stop and grab some sweet treats while at the Summit. They carry full- and single-sized bundt cakes as well as bite-sized “bundtinis” in flavors from Chocolate Turtle to Lemon to White White Chocolate and more. Stop by and try one (or more!) of these baked pieces of perfection. Known for its eco-conscious designs, Alex and Ani is one of the best places to ramp up your style with meaningful American-made jewelry that inspires and illuminates the wearer. Alabama and Auburn fans, be sure to check out their collegiate collection (don’t worry, Blazer fans: they have a Dragon too). Other collections, including Charity by Design, Path of Symbols and Kindred Cords, will enlighten, enchant and empower your wardrobe. An athletic store that prides itself on helping women realize their potential, Athleta is a perfect place to hang out with the girls. Athleta sells stylish athleisure wear and offers regular exercise sessions for its guests. 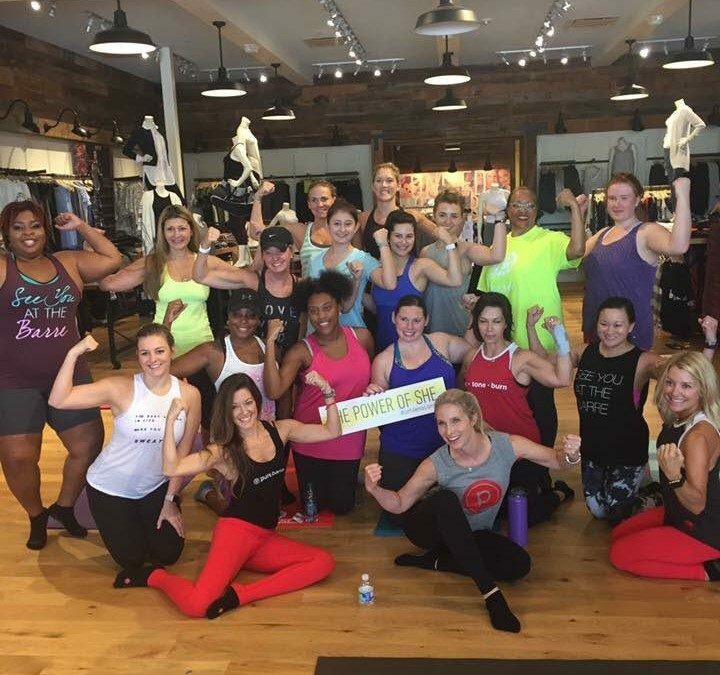 Their classes include anything from yoga to Glow Zumba to in-store classes with Iron Tribe and Pure Barre. Visit Athleta to rejuvenate and spur your body and soul.